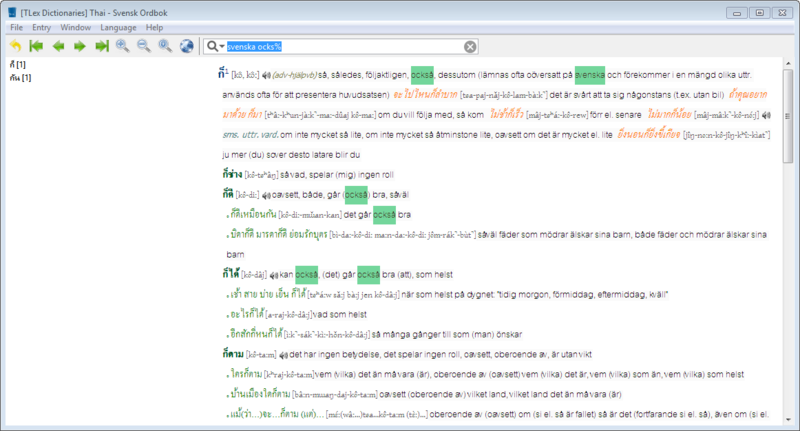 This excellent Thai-Svensk Ordbok (Thai-Swedish Dictionary) by Fredrik Almstedt includes regular free automatic updates and is available now for use on Windows-based computers. More screenshots, usage information, support, general Thai-Svensk trivia and answers to your questions are available on the official Facebook page and Twitter. The trial is fully functional, but time-limited in use until you enter an activation code, which you obtain upon purchase for just $33. If you like this dictionary, please help 'spread the word'! Free regular automated updates that are light on bandwidth usage. Over 35,000 words and phrases and growing. 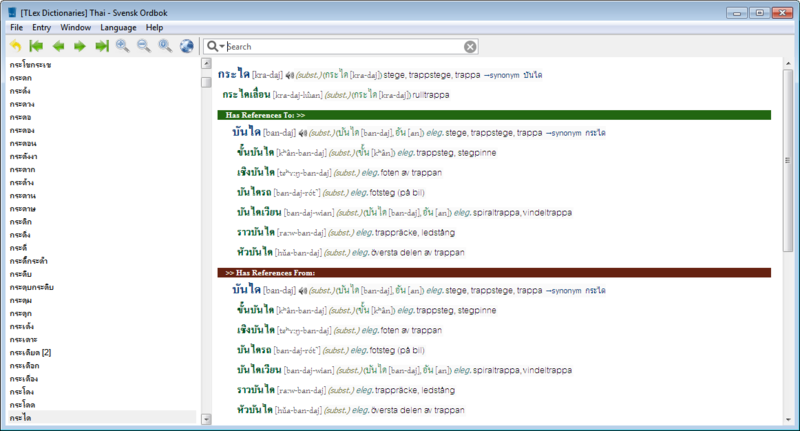 Pronunciation statements with IPA and audio playback of over 7900 high quality spoken pronunciations of Thai words. Fast search, with basic wildcard abilities. Easily view and jump between related words. Fast startup and light on resources. Works on all versions of Windows from XP onwards. Ideal for translators and learners.